Home of the Living Lattice Labyrinth - the largest maze in the world grown in this fashion as a result of the inosculation of over 9,000 trees. Due to its open structure, claustrophobics will be relaxed in this maze, as will parents of young children. You can explore the labyrinth to find The Tower, play The Seekers Game or just take a meditative stroll along the broad Living Lattice Paths which are suitable for wheelchairs and strollers. Puzzles are available to play with and range from jigsaws for toddlers to the most mind-bending challenges. These puzzles are also for sale and are ideal as gifts - especially for those who are difficult to buy for. 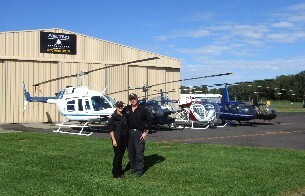 Owners/Pilots Tim & Georgie Latimer will be your hosts, providing you with the very best in Helicopters. Anywhere. Everytime. Having spent much of our careers flying in North Queensland, the Northern Territory, New South Wales & Papua New Guinea, we've decided to use our vast knowledge & extensive experience and establish a fully approved, professional & friendly aviation operation of our very own in what can only be described as one of the greatest regions of Australia. With experienced, professional & always friendly staff, we ensure that everyone steps off our helicopters with a smile and feeling completely satisfied. The Australian Seabird Rescue, Research, Rehabilitation and Coastal Education Centre in Ballina offers a comprehensive educational experience for people of all ages. 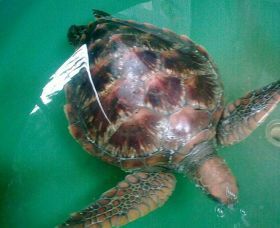 Participants experience first-hand the issues in their local environment. Enjoy a refreshing swim in one of the sparkling pools with lush tropical surroundings overlooking the Richmond River at Ballina Olympic Pool. 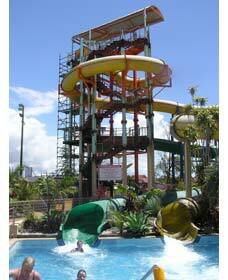 If you feel up to it, try the adrenalin rush of the giant waterslides located within the pool grounds. 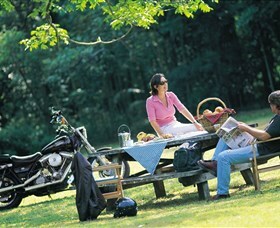 When it's time to catch up with friends and family, head to the picturesque Victoria Park picnic area. Here, you can enjoy the peaceful tranquillity of the rainforest in the northern NSW hinterland, only a short drive from Ballina. The adjacent reserve protects one of the last remnants of the original Big Scrub sub-tropical rainforest and makes an excellent backdrop for a relaxing get-together. Spark up the barbecue or unpack the hamper in the cool shade of the bangalow palms, or if you're feeling inspired, cook up a feast at the communal galley. The wheelchair facilities ensure this tropical oasis is a perfect spot for elderly people and groups. After a leisurely picnic, the tranquil Victoria Park boardwalk makes a perfect after lunch stroll. Summerland House Farm is a 'must do' attraction in the Northern Rivers. There is something for everyone. A day at Summerland House Farm has fun for all the family. Children love the water park and playground, and parents love to unwind in the tropical grounds. 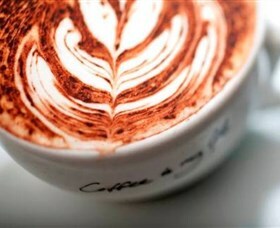 The Cafe serves local coffee and a chance to taste the region with a selection of local food on the menu. The farm's Gift Shop and Nursery has one of the largest selections of plants and gifts in the Northern Rivers and 'The Grocer', a new Regional Food Showcase, is a one stop shop for regional produce and gourmet hampers. The Farm's newest attraction, the Tractor Tour, winds its way through the macadamias and avocados highlighting historical points of interest and agricultural facts. Contact Summerland House Farm for more details. Home of the Living Lattice Labyrinth - the largest maze in the world grown in this fashion as a result of the inosculation of over 9,000 trees. Due to its open structure, claustrophobics will be relaxed in this maze, as will parents of young children. You can explore the labyrinth to find The Tower, play The Seekers Game, or just take a meditative stroll along the broad Living Lattice Paths which are suitable for wheelchairs and strollers. Puzzles are available to play with and range from jigsaws for toddlers to the most mind-bending challenges. These puzzles are also for sale and are ideal as gifts - especially for those who are difficult to buy for. 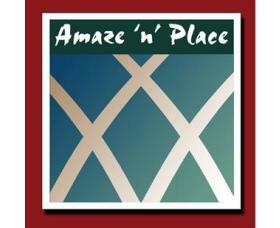 Experience fine local coffee, tea and home-made cake either the coffee shop or on the veranda, overlooking the maze. Deliciously fresh lunches are available and are made using local produce. Only open through school holidays. One of Australia's leading Aboriginal art galleries, DACOU is the acronym for Dreaming Art Centre Of Utopia and was founded by Fred Torres in 1993. It's an Indigenous owned gallery that specialises in contemporary Indigenous art from both the Utopia region in the Northern Territory and Bundjalung region of northern New South Wales. Crawford House is the home of the Alstonville Plateau Historical Society, Community Resource Centre, and a small museum. 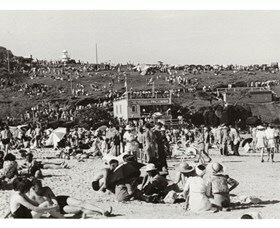 In 2003 the Society restored this Federation style property which displays household items from the 1900s to the 1960s. 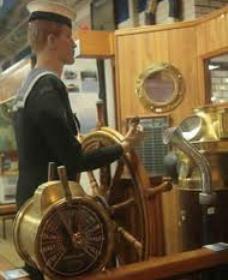 It has a research room and a collection of materials relating to the history of Alstonville. Originally known as 'Olivene', the house was built in 1910 by DC Connor of Ballina for Mr William Ambrose Crawford and his new bride, Olive (nee White). Discover how rural families lived in the last century, or research your family history in this lovely Federation home. Situated in the scenic Byron Bay hinterland at Alstonville, Del Strong Art is an art studio, gallery and centre of learning. 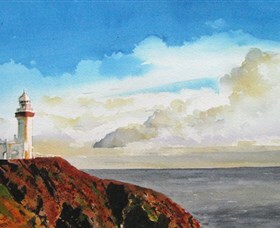 Serving as both a gallery for the art works of Del Strong and a specialist space for conducting classes in watercolour, portrait drawing, life drawing and children's classes, Del Strong Art is an inspiring and creative place to learn and admire visual art. 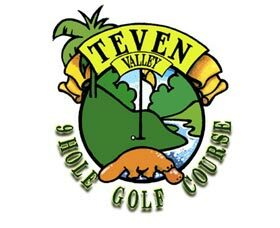 Teven Valley Golf Course has been described as 'the prettiest little golf course on the north coast'. In the gentle hills of the Ballina hinterland, an unforgettable golfing experience awaits you. Royal Teven, as it has been fondly named by locals, is set in a peaceful and breathtaking valley amongst meandering creeks and remnant rainforests, with only the songs of birdlife and the occasional splash of a platypus to interrupt your relaxing golf game. 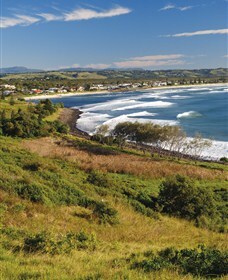 Just 10 minutes from Ballina, Teven Golf Course is central to Lismore, Byron Bay and picturesque beaches. The superbly maintained course is a challenging par 31 layout, testing all golfers - Teven is a pleasure to play. Perfectly suited to casual and holidaying players as minimal formal competitions are held, you are always assured of a great game. 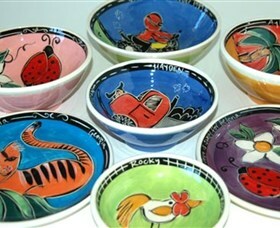 Explore the delight of beautiful wheel thrown ceramics at The Red Door Studio and Gallery. Located at Fernleigh in the Byron Bay Hinterland, it is the home of artist Brooke Clunie. Brooke creates original custom made and personalised pottery tableware ideal for unique gifts celebrating occasions such as weddings, births, birthdays, and christenings. Brooke also specialises in corporate orders for businesses wishing to create lasting relationships with their clients. Thrown on the potter's wheel and individually decorated with her loose and playful imagery, Brooke's ceramics celebrate colour, vitality, and imagination. Paintball Skirmish Ballina Byron, formally known as Ballina Adventure Park, has been providing awesome paintball activities and gaming at affordable prices for over 18 years. They pride themselves in providing a high quality and reliable skirmish service to their gamers, who should only expect the very best experience. 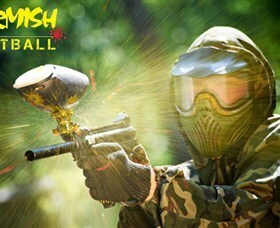 Take your pick of multiple playing fields, paintball battles and skirmish packages. Special paintball deals for bucks and hens parties, large groups or workplace combat team building events. Accommodation options nearby. Discover the original home of the pioneering tea tree company, Thursday Plantation! The perfect stop for kids and adults alike, the education centre features an interactive display centre showcasing the tea tree production process, video theatre, tranquil Verandah Cafe overlooking rainforest botanical gardens, and the intriguing Spirit of Australia Tea Tree Maze. Here you can purchase Thursday Plantation products right from the source, as they continue to pioneer the modern tea tree industry and produce quality products. Why not pick up some of their fabulous tea tree products and enjoy a coffee, icecream or light meal on the lovely verandah while the kids explore the maze and sculpture gardens. 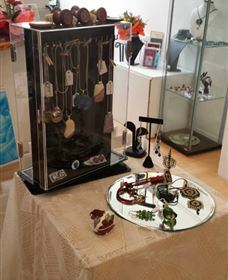 Creative Artisans Gallery is all original work with most of the items such as the jewellery, woodwork and silk, being 'one-off' designs. 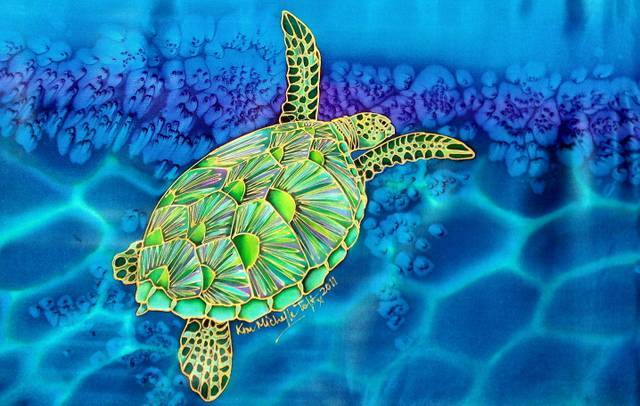 The gallery aims to showcase original creations and artwork from local artists and artisans. It is owned and managed by local women who have lived and worked in the shire for many years. Purchasing artwork from the gallery ensures an income for the artisans, and local suppliers and creates jobs within the community. 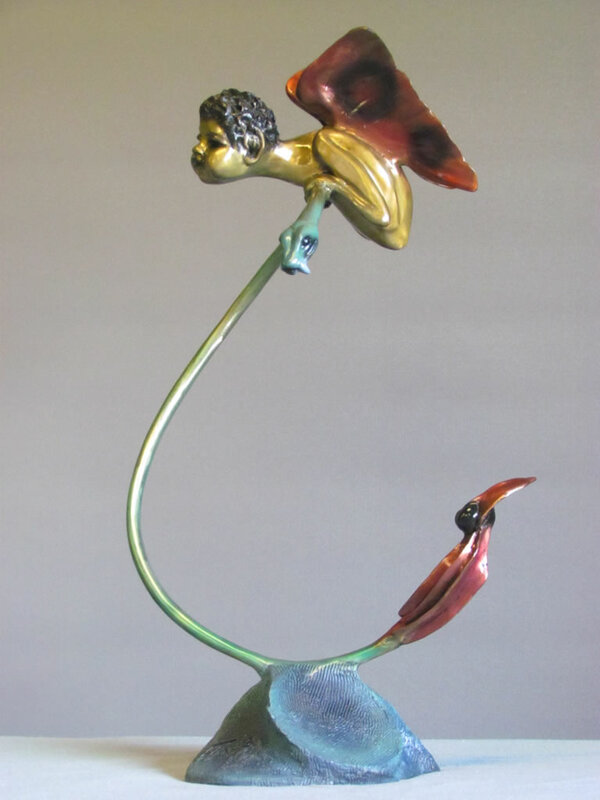 There are so many very talented people who do not have the opportunity to have their work presented for sale on an ongoing basis - not just in exhibitions that may last from a couple of days to a month. 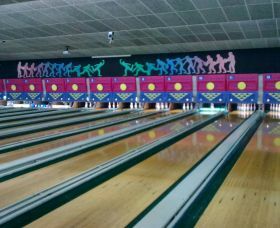 Ballina Ten Pin Bowl is the ideal option for a wet weather activity or simply to add some fun to your day! Challenge your travel mates to a game or come along and join the locals and make some new friends. The bowling alley is air-conditioned and has a snack bar on site for refreshments. Glow in the Dark bowling from midday! Free instruction is provided to newcomers. 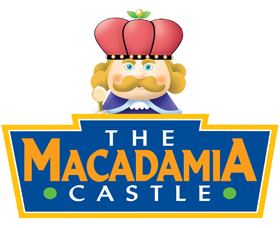 Groups, special events, functions and parties are all catered for and provide a unique venue for any event. Whether you're a toddler dipping your toes in for the first time, or a world-class surfer, with over 32 kilometres of coastline to choose from, it's easy to find the ideal swimming or surfing spot in Ballina. There are calm sandy beaches and shoals on the banks of the Richmond River, rising swells perfect for a body bash at one of the many beaches and there are often perfect barrels rolling of North Wall and the world famous right hand break at Lennox Point. There are beaches that allow four wheel drive vehicle access and some that allow dogs and horses. Local operators offer horse riding on isolated beaches, both north and south of Ballina. It's the stuff that postcards are made of. 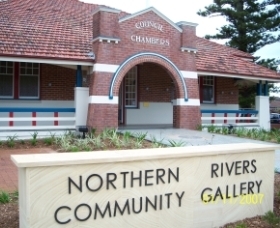 This beautiful gallery is located in the heart of Ballina under the Ramada Hotel, and overlooking the Richmond River. 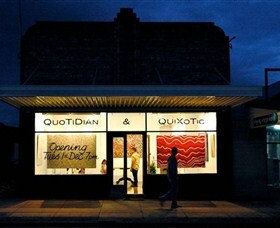 The gallery is a collective of the finest local silk and glass artists living in the beautiful region of Northern NSW. They all have a close connection with Mother Nature and their work reflects her amazing beauty. Kim Michelle Toft's vivid hand painted silks and environmental children's books of the underwater world, Jacqueline King's exquisite one-off glass pieces, Helen Dunn's playful silk and crystal birds, Arnie Gautsch's intricately etched glass, and Trudy Gautsch's stunning glass jewellery make up the collective. All the artists work in the gallery. 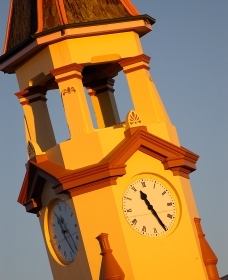 What a brilliant reason to visit Ballina and call in to enjoy unique local art at its best! The Ballina Historic Waterfront Trail is made up of 19 interpretive plaques stretching along the walkway from Fawcett Park in the central business district through to North Wall. The trail provides insights into the historic importance of the Richmond River to the Ballina Shire's earliest European settlers and residents. You may also spot the ever playful dolphins in and around the bridge and the mouth of the river. The end of North Wall is a great vantage point to Whale Watch in season and to see the local fishing trawlers going out to sea at sunset is nothing short of spectacular. The area boasts plenty of the best spots to catch the elusive fish of the Richmond River. Surf schools are often seen giving their lessons to beginners in the gentle surf rolling in from the ocean up the mouth of the river. 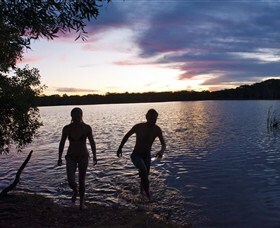 Lake Ainsworth, a tea-tree stained dunal lake, is very popular with locals and visitors. The lake is located at the northern end of Pacific Parade and is complemented by wonderful barbecue and picnic facilities. It's an exhilarating experience to swim between the salty ocean and the fresh water lake. It's also suitable for stand-up paddle boards, kayaking and canoeing. Located on the top of Lennox Point, Pat Morton Lookout has extensive views out to the Pacific Ocean and north stretching up Seven Mile Beach. An ideal whale watching spot (during whale season) and perfect for spotting dolphins, it is also the best vantage point for watching the surfers at its famous right hand break. You can also go hang-gliding or for a hike towards Boulders Beach, taking in the magnificent views of the sparkling Pacific Ocean and coast. 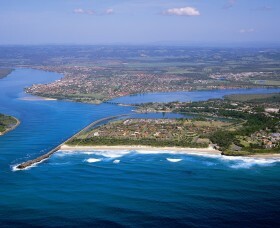 Lennox Head was declared a National Surfing Reserve in February 2007, the third site in Australia to be recognised for its significance to recreational surfing and the largest in Australia, it runs 7.2 kilometres from the Surf Club south to Flat Rock. Endlessly photographed, filmed and fawned over, the right-hand point-break at Lennox Head is one of Australia's most famous waves. The Lennox Head point break is beautiful to look at but powerful, and to ride it you need to find space among dozens of red-hot local surfers, so it's not the place for beginners. It breaks onto sand, but there are some round smooth rocks to be scrambled over. 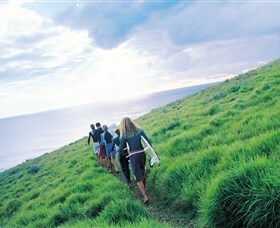 Stroll along walking tracks and view birds (migratory, shore and bush) as they fly, feed and roost. Watch for echidnas, lizards, frogs, wallabies, and humpback whales migrating between June and October, and see dolphins at play offshore. Watch the laid back lifestyle of the surfers and windsurfers off North Wall. At sunset, experience the magnificent sight of the Trawlers making their way over the Ballina Bar or throw a line off North Wall and you will be in for a delicious seafood feast. Enjoy a meal or snack at the conveniently located kiosk and cafe at the brand new Ballina Lighthouse Surf Club. Lighthouse Beach is patrolled in school holidays, making it the perfect spot for families.